A couple of weeks ago I recieved a deeelish turkey breast from Honeysuckle and wanted to share this super easy way to use up leftover Turkey. I’ve been making it for years and my family loves it. I’m a bit fanatical about not throwing out your leftovers. Make this up and freeze if you want! Super easy leftover meal. 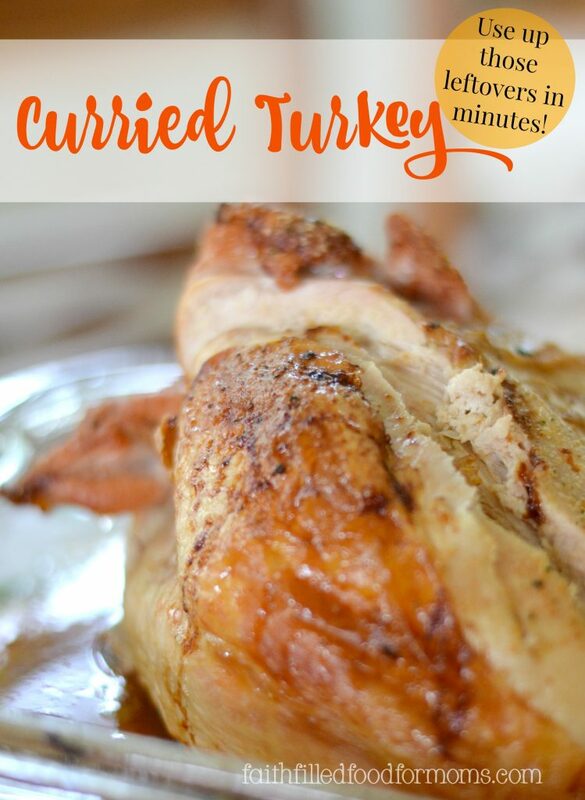 Before the turkey season gets here, be ready by making carving our turkey for leftovers easy! I have a great electric meat carver and it only takes me minutes to carve up a turkey for leftovers! Then I can bag up what I want to freeze and leave out what we’ll be using in recipes like this deelish Curried Turkey! 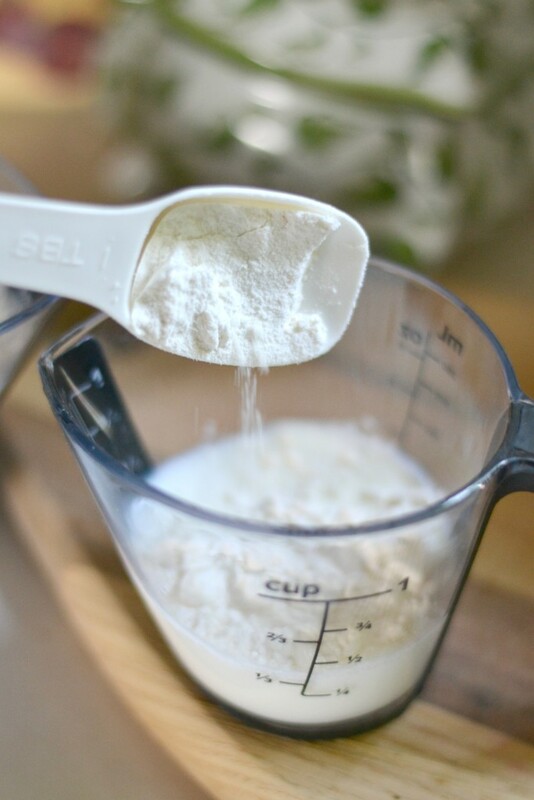 Add flour to cold milk and stir…set aside. 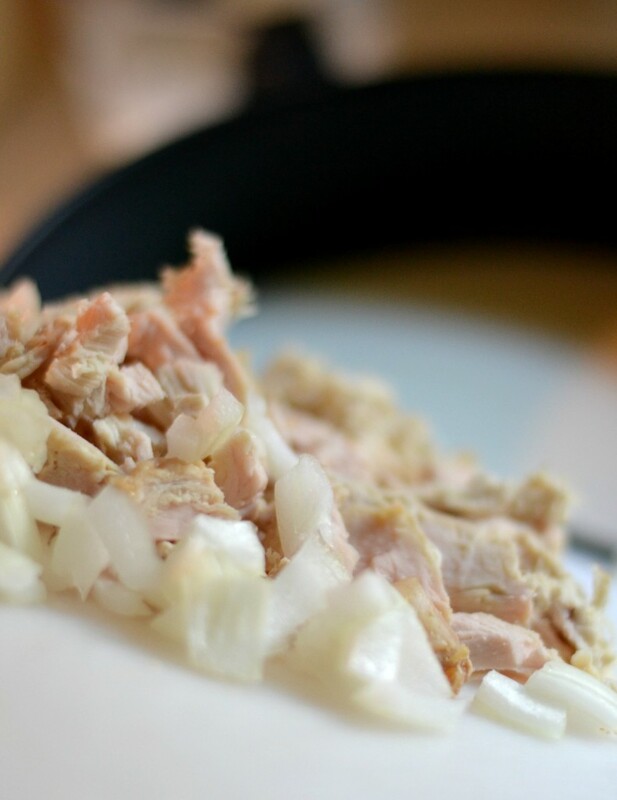 In a large saucepan, sauté onion in oil until tender. 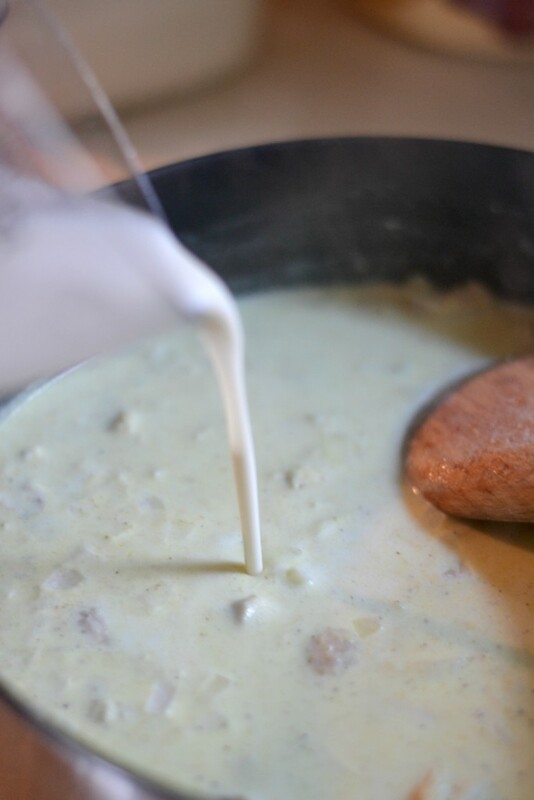 Add milk and flour mixture along with curry powder, salt and pepper; cook and stir for 3 minutes or until thickened and bubbly. Add Turkey and Heat through. You can also add any kind of veggies if you like. Just Sauté with the onion. 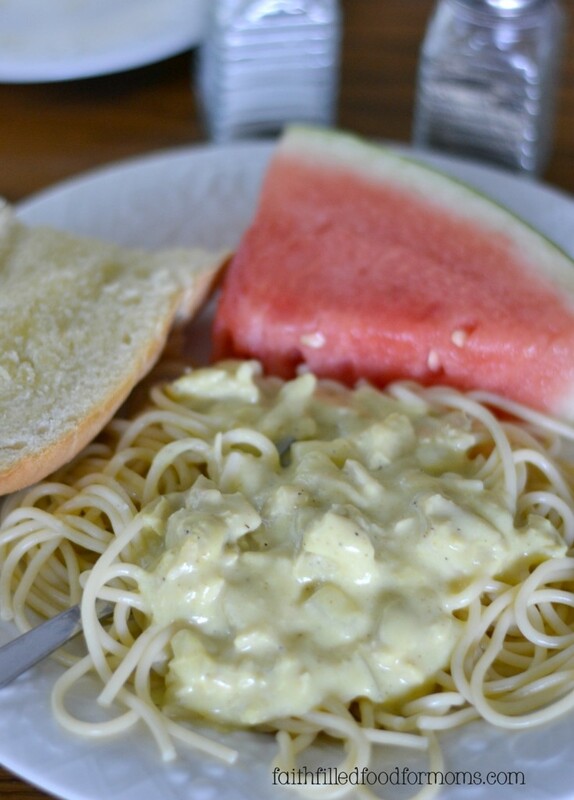 This is such a simple recipe that is OOOH so YUM! You can totally freeze this recipe too. Just starting to collect recipes before Thanksgiving? 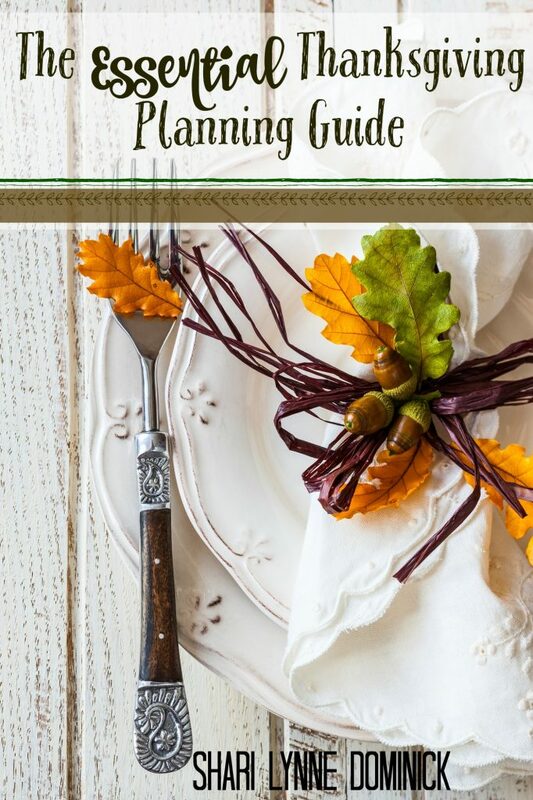 Download FREE The Essential Thanksgiving Planning Guide! With printable’s and lists to help you get organized! The Essential Thanksgiving Planning Guide. with Printable lists and planning tools. Mmmmm, curry is one of my favourite spices. This sounds and looks soooo good! I have to keep this in mind when we have leftovers from the holiday season. 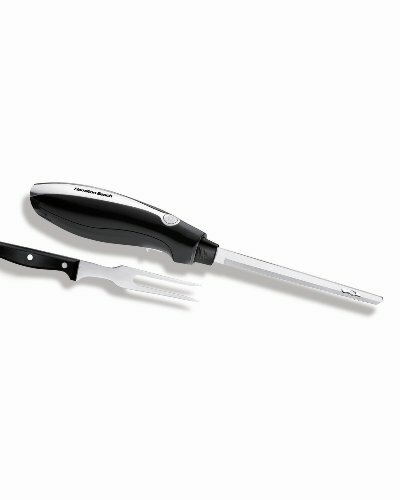 This looks yummy and will be soo useful come Thanksgiving time. Pinning for later. Yummy! 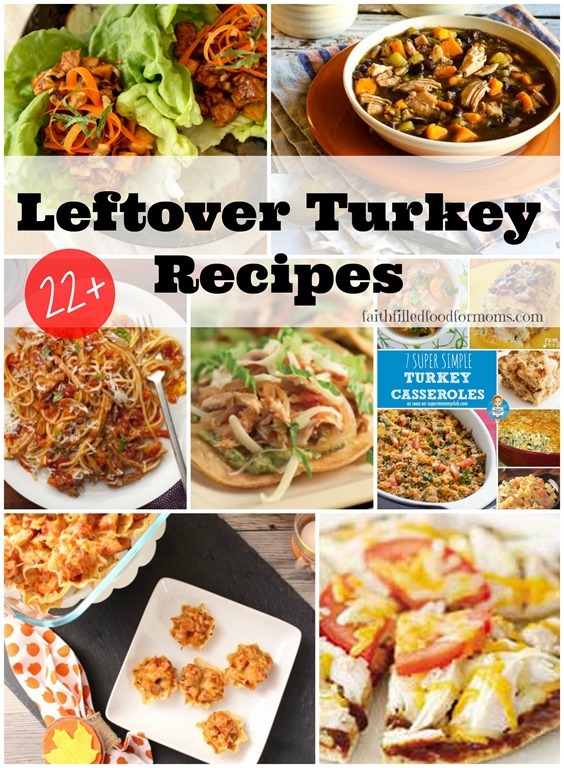 I pinned this on Pinterest so I could grab it after Thanksgiving dinner. I can’t wait to try it! Be Blessed always. Misty.